Environmental portrait of cheesemaker at Many Fold Farm, Chattahoochee Hills, Georgia. Many Fold Farm makes award winning sheep cheese milk. Cheesemaker is shown taking a break shortly after the curding process has started in one of the stainless steel tanks. Photographed on location by Atlanta based portrait, editorial, advertising and food photographer Nick Burchell. 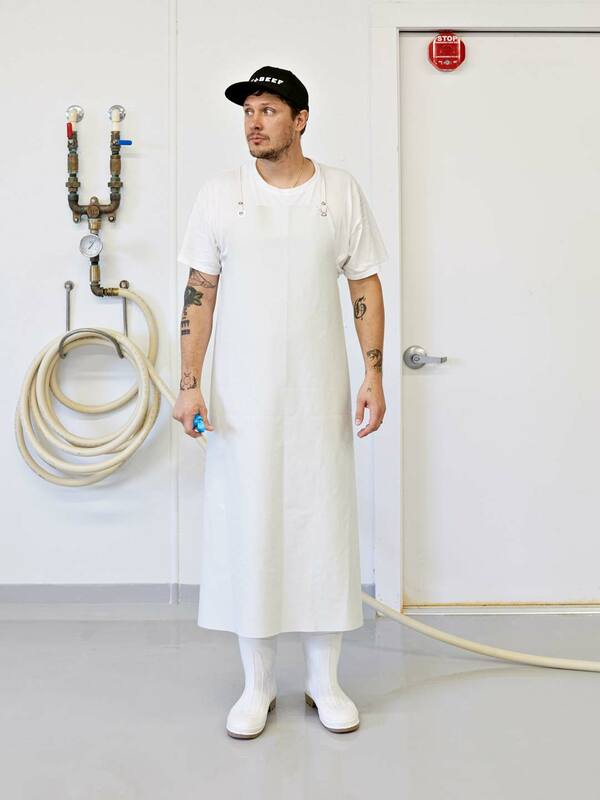 Nick Burchell specializes in photographing portraits of people in the food industry.